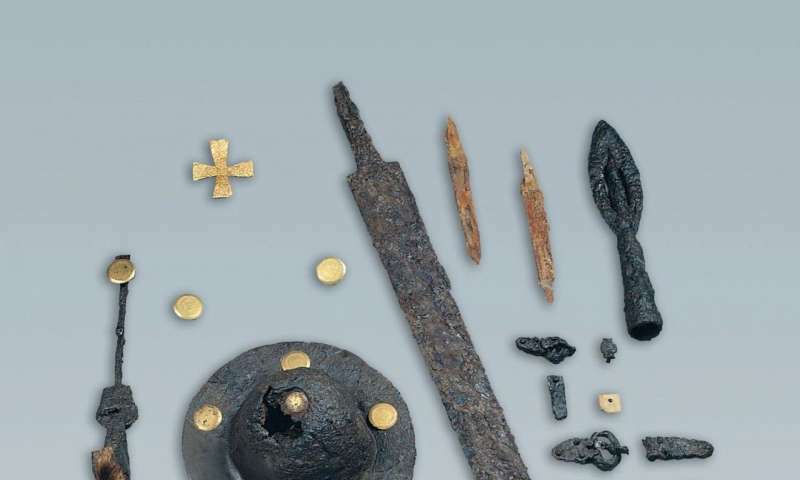 Applying a comprehensive analysis of genetic, historical, and archeological factors in two 6th-century barbarian cemeteries, researchers have gleaned new insights into a key era known as the Migration Period that laid the foundation for modern European society. Spanning the 4th to 8th centuries, this epoch followed the decline of the Western Roman Empire and was a time of major socioeconomic and cultural transformation in Europe. However, despite more than a century of scholarly work by historians and archaeologists, much about the period still remains unknown or is hotly debated, as reliable written accounts are lacking. A paper, published today in Nature Communications, seeks to shed new light on how these communities were formed, how people lived, and how they interacted with the local populations they supposedly came to dominate. The international team of geneticists, historians, and archaeologists led by Professor Patrick Geary of the Institute for Advanced Study and Professor Krishna Veeramah of Stony Brook University in the U.S., Professor Johannes Krause of the Max Planck Institute for the Science of Human History in Jena, Germany, and Professor David Caramelli of the University of Florence in Italy, have for the first time sequenced the genomes of entire ancient cemeteries—one in Hungary and one in Italy. 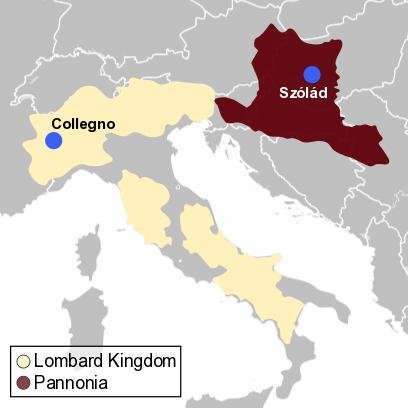 This research provides the clearest picture yet of the lives and population movements of communities associated with the Longobards, a barbarian people that ruled most of Italy for more than two hundred years after invading from the Roman Province of Pannonia (modern-day Hungary) in 568 C.E. The team's data from the Hungarian cemetery, Szólád, almost doubles the number of ancient genomes obtained from a single ancient site to date. This in-depth genomic characterization allowed the team to examine the relationship between the genetic background of the community and the archaeological material left behind. Professor Patrick Geary, of the Institute for Advanced Study, a senior author of the paper said, "Prior to this study, we would not have expected to observe such a strong relationship between genetic background and material culture. This appears to suggest that these particular communities contained a mix of individuals with different genetic backgrounds, that they were aware of these differences, and that it likely influenced their social identity." A somewhat surprising result was that in both cemeteries, individuals buried with elaborate grave goods, like swords and shields for the men and beaded necklaces and broaches for the women, tended to have a genetic ancestry associated with modern northern and central Europeans today, while grave goods in individuals with more southern European-looking genomes were much less abundant. The individuals with abundant grave goods also tended to consume more protein rich diets. "What we have presented in this study is a unique cross-discipline framework for the future," added Geary, "uniting experts from different disciplines to reinterpret and reconcile historical, genomic, isotopic, and archaeological evidence to enhance our knowledge of the past, compile new information on how populations move, how culture is transmitted, how to better understand identity, and new ways of understanding the complexity, heterogeneity, and malleability of Europe's population in the past and the present." The approach also allowed researchers for the first time to reconstruct comprehensive genealogies of the people who were buried in these cemeteries, finding that family relations spanning multiple generations were likely key to establishing these communities. "It looks like both these cemeteries organized themselves around one or two large groups of biologically related kin, with the vast majority of these individuals being men" said Veeramah. "In addition, these related individuals tended to share the northern/central genetic ancestry associated with rich grave goods." The team concluded that it was unusual to see this genetic ancestry type in Hungary and certainly in Italy in the 6th century. "Though we really need more data, our current results are consistent with the idea of barbarians migrating from north of Danube and east of the Rhine, which would suggest we are observing the invasions previously described by the Romans," said Veeramah. "It is also likely that social organization was based around large high-status male biological kinship groups, and these were key to establishing communities following the migration into Italy." Veeramah, Caramelli, Krause, and Geary stressed that these results represented mere snapshots of the period and that more work in other cemeteries in other regions is vital for truly understanding this period. "It could be that we look at some new cemeteries 50 km away or that are 100 years older or younger and find very different patterns of social organization. People are complicated now, and they almost certainly were during the Migration Period," said Geary. "There are thousands of medieval cemeteries out there for us to look at. This is hopefully just the beginning of our work."